NRPL continues its tradition of celebrating children’s books illustrated by African-American artists, with a month long exhibit by the acclaimed artist, Bryan Collier. Known for his unique style that combines watercolor and detailed collage in his work, Mr. Collier’s has illustrated a number of award-winning works: Rosa by Nikki, Dave the Potter by Laban Carrick Hill, Trombone Shorty by Troy Andrews, and Martin’s Big Words by Doreen Rappaport were all named Caldecott Honor Books. His Coretta Scott King Illustrator Award books also include Rosa; Trombone Shorty; and Dave the Potter, as well as Knock Knock:My Dad’s Dream for Me by Daniel Beaty; I, Too, Am America by Langston Hughes; and Uptown, which he also wrote. 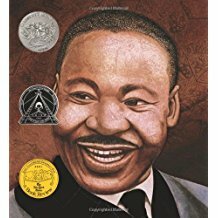 For Visiting Langston by Willie Perdomo and Freedom River by Doreen Rappaport and Martin’s Big Words by Doreen Rapport he received a Coretta Scott King Illustrator Honor Award. Barack Obama: Son of Promise and Child of Hope by Nikki Grimes, which he illustrated, was a #1 New York Times bestseller. Lumen Winter Gallery. Sunday, February 10, 4:00 pm – 6:00 pm: A family-friendly artist talk and reception will take place on Sunday, February 10th at 4:00 pm, immediately following the Percussion Discussion Family Concert. Free. Ossie Davis Theater and Meeting Room.